The PRO Awards Gala is just around the corner—June 19, in fact, in NYC. This is the second edition in a series of posts previewing a handful of the finalists across multiple categories. These campaigns rose to the top among hundreds and hundreds of submissions as the most compelling and the most successful promotion marketing campaigns across the globe as judged by brand-side marketers. We hope you’ll join us for the PRO Awards Luncheon and Gala where you will join your peers to learn which campaigns will take home the Gold Awards. And not to be missed is the morning workshop, Marketing to Women in the #MeToo Era. State Farm was aware that volunteerism was at historic lows. While 70 percent of Americans expressed a desire to volunteer, only 25 percent participated in 2016. Why? People don’t know when and where they can help. Enter the Neighborhood of Good (NOG), a platform for people to search causes and volunteer initiatives in their own communities. To spark action and educate consumers about NOG, volunteer events were staged during key moments of the year. In May 2017, volunteers packed meals for at-risk youth. 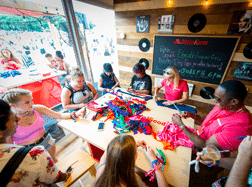 During the summer, State Farm brought its #HereToHelp Lounge to music festivals. Micro-volunteering activities, augmented reality, and custom cause-related posters designed like record store vinyl gave festivalgoers a unique viewpoint on neighborhood needs. State Farm recognized Good Neighbor Day, not just on September 28, but for the entire month of September. The Good Neighbor Crew held micro-volunteering events from launch in March to December. State Farm partnered with over 400 nonprofits, recruited over 60,000 volunteers, logged over 17,000 volunteer hours, and generated 130,000 acts of good. NeighborhoodofGood.com received 1.69MM site visits and 1.23MM volunteer searches in 2017. What would it take to get consumers to consider Michelob ULTRA as an authentic part of the fitness community and the smart beer choice for those who choose to be active. The strategy was to carve out a new market segment using 18 lifestyle social media influencers. 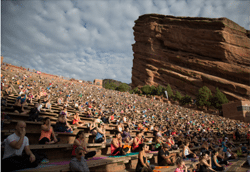 In 12 markets across the country, influencers gave out tickets and led Live ULTRA, large-scale exercise classes at iconic locations across the country, like yoga at Red Rocks. Following the workout, the influencers hosted happy hour, served Michelob ULTRA and handed out branded fitness premiums. Consumers who followed these gurus’ social media channels got the chance to win tickets to the events. The Live ULTRA Summer Series saw 3,000 entries over the course of the 12 events. Over 10,000 attendees experienced the events. 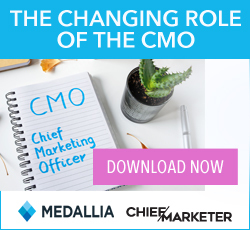 The 391 pieces of influencer-led content beat benchmarks by 24 percent, and Michelob ULTRAs follower numbers across social media platforms increased month over month over the course of the program. The influencer-led experience gathered 2,600,000+ brand impressions, while the influencer-led social campaign gathered 33,000,000+ brand impressions. After the campaign, Michelob ULTRA saw a 57 percent improvement in purchase consideration among healthy and active lifestyle consumers. Welch’s had a new product, Nothing But the Fruit (N.B.T.F. ), with the goal of breaking into the natural foods category, a new space for the brand. 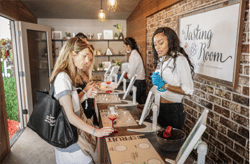 The team turned to experiential storytelling to communicate the traditional grape farmer story and natural goodness message, while also showcasing the N.B.T.F. brand, fruit bites specifically, as an elevated, versatile snacking option. A tiny home, fascinating to Millennials, converted to a Tasting Room designed as a modern winery. Dark woods paired with brick wall textures, and industrial lighting gave the space a very sophisticated and modern feel. Outside, consumers found a one-of-a-kind, handmade flower wall to pose for Polaroids, as well as picnic tables positioned under twinkling lights to serve as a garden patio for relaxing. Influencers served as hosts, sharing and producing content for their followers. Consumers were encouraged to share their videos and photos on social media using #NBTFTastingRoom. Mosaic sampled 142,664 pouches over four different flavors.